Fried vegetable spring roll served with plum sauce. Fried pork dumpling with teriyaki sauce. Peanuts, tomato and green beans with spicy lime juice. Thai style dumpling with teriyaki sauce. Spicy lemongrass soup with baby corn, mushroom, scallion, tomato and carrot. Though I was told after that my office is out of their delivery range, they delivered timely, hot food. Would recommend. Bummer my office is too far. We have been order from TaiThai a few times a month for a couple of years. It is our go to for Thai. Authentic, reliable and consistent. I have been a patron of Tai Thai for years and am always delighted with the food. Whether dining in or for delivery, Thai Thaj is a part of my weekly rotation. The owner is wonderful, attentive, and dedicated. It makes me happy to know that my patronage is helping a small business owner. I live by the red curry, and also love the Khao Soidelish! Thanks, Tai Thai! Ummmm I actually think that Tai Thai is like SUPER DELICIOUS. I order from them ALL THE TIME. It's kind of scary. I really like their noodles and this thing with like ginger called Pad Khing. Their delivery is prompt, and their calamari is weirdly spiky. YARR. I think I was an orca in a past life because I love to devour squids. One of my go-to lunch spots! I usually order the same one of two lunch combos (Thai Fried Rice or Curry) and have yet to be disappointed. Tasty food, good portions, and a decent price for the area. Bonus points for never forgetting my side of hot sauce! It was so good but very spicy!! I'm definitely going to be ordering again because I like spicy food but it took me a little off guard. Still was hot and good and delicious :) my boyfriend loved it too! Consistently good, and usually fast (arriving well before the delivery estimate). I order from here at least once a week. I especially like that a lot of the stir-fry dishes have ample veggies in them. 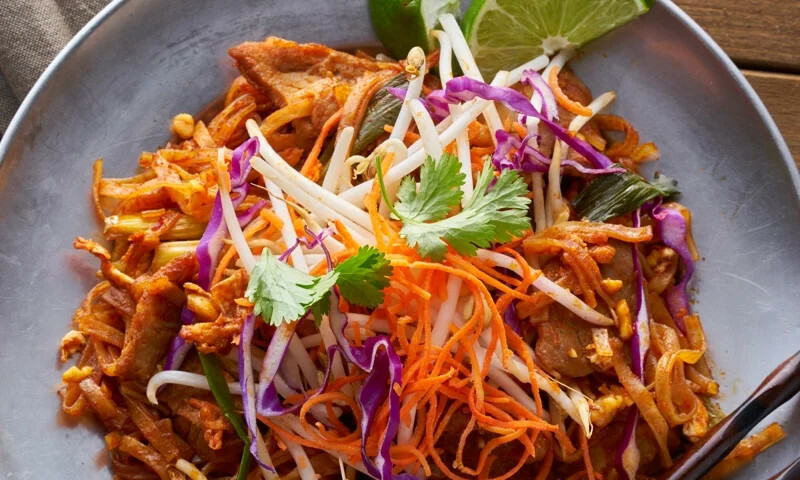 Whether you're craving a quick bite or looking to treat yourself to a delicious meal, you can now order your Tai Thai favorites for takeout or delivery.